The Eastern Virginia Telemedicine Network (EVTN) is a health professions' distance learning telemedicine network. 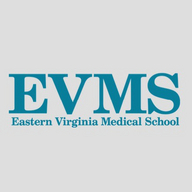 The EVTN is a joint project of the Eastern Virginia Medical School (EVMS), the Eastern Virginia Area Health Education Center (EVAHEC) and the Eastern Shore Rural Health System, Inc. (ESRH). Major funding for the establishment and initial operation of the EVTN was provided by the Virginia Health Care Foundation (VHCF). The VHCF promotes and supports local public/private partnerships that increase access to primary care for uninsured and medically underserved Virginians. VHCF is a non-profit independent entity initiated in 1992 by the Virginia General Assembly and its Joint Commission on Health Care. Additional and ongoing funding support for the EVTN has been provided by EVMS, EVAHEC, the Children's Hospital of The King's Daughters, Sentara Healthcare, and the U.S. Department of Health and Human Services, Health Resources and Services Administration, Bureau of Health Workforce, Office of Health Careers, Division of Health Careers and Financial Support, Health Careers Pipeline Branch, Area Health Education Centers Program, under Grant Number: U77HP03047. Eastern Virginia Telemedicine Network programming content is solely the responsibility of the individual presenter(s) and does not necessarily represent the official views of the U.S. Department of Health and Human Services, Health Resources and Services Administration, Bureau of Health Workforce, Office of Health Careers, Division of Health Careers and Financial Support, Health Careers Pipeline Branch, Area Health Education Centers Program or of EVMS or EVAHEC, or our other partners. If you have questions about the EVTN, please contact Robert J. Alpino, Center Director, Eastern Virginia Area Health Education Center, at 757-446-6167 or at alpinorj@evms.edu.